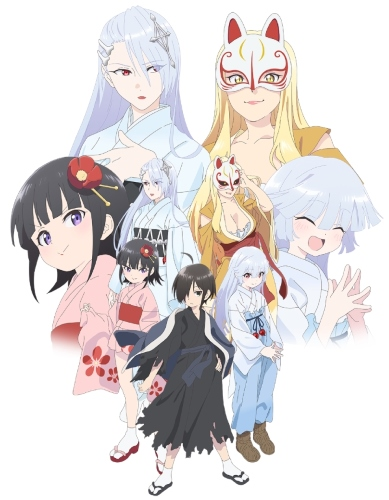 Watch Kiitaro’s yokai picture diary full episodes online English Sub. Synopsis: This is the visual diary of Kiitarou’s experience with youkai. He’s a boy with a very strong spirit sense, but when he entered a forbidden storehouse, he was kicked out of his home. He soon found a new place to live, where he met a zashiki warashi (house spirit) named Suzu. He and Suzu soon began to attract all kinds of spirit creatures, starting with a nurikabe (appears as a wall that impedes travelers) and mokumokuren (appears as eyes in a torn paper wall). What kind of folkloric creature will he meet next?